And Survey Says.. Channel Surfing? Excuse me, what? 50.3% of weekend fun is spent flipping through tv shows. Even for an American, I found this statistic slightly appalling. 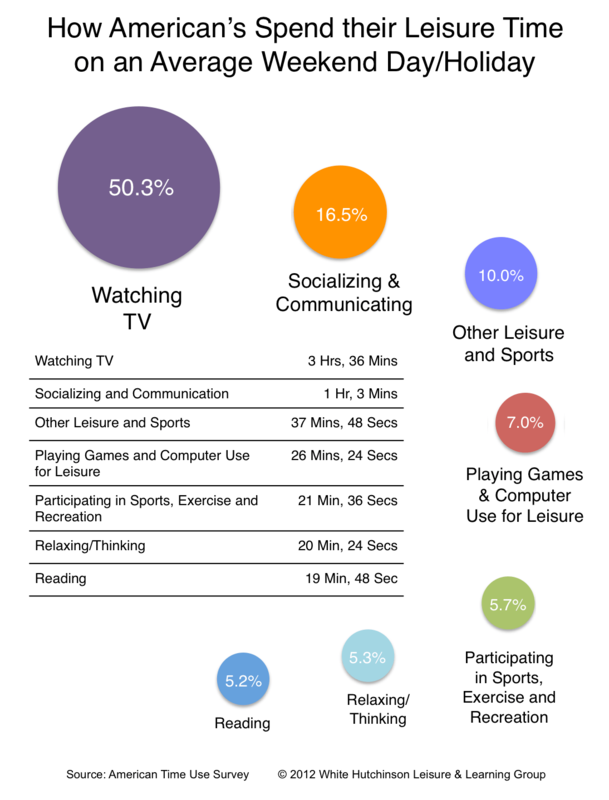 Although this study is from 2012, I can only imagine the increase in leisure media and cyberspace consumption today. One clever way to limit your television zombie mode is by actually learning something new! Self-enriching skills can easily turn into awesome hobbies, works of art, or a form of simple meditation. #2 Cooking Skills – I always want to test out those simple step Buzzfeed/Pinterest recipes. #12 Learn a New Instrument – I know how to sight read and basic piano, but getting better or playing the guitar is definitely something I want to do. #15 Adobe – These creative programs are so cool, and also extremely impressive in the professional world. Scroll through the rest below, what’s your new talent? “Will You Be My Val-?” Meh, I’m Good.